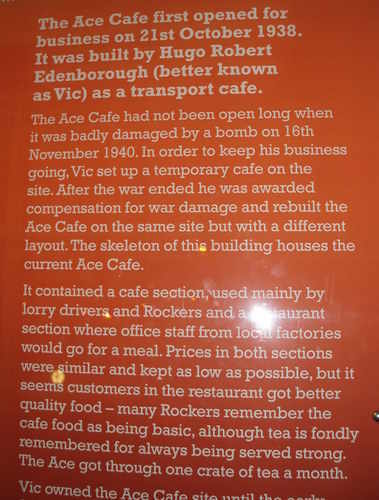 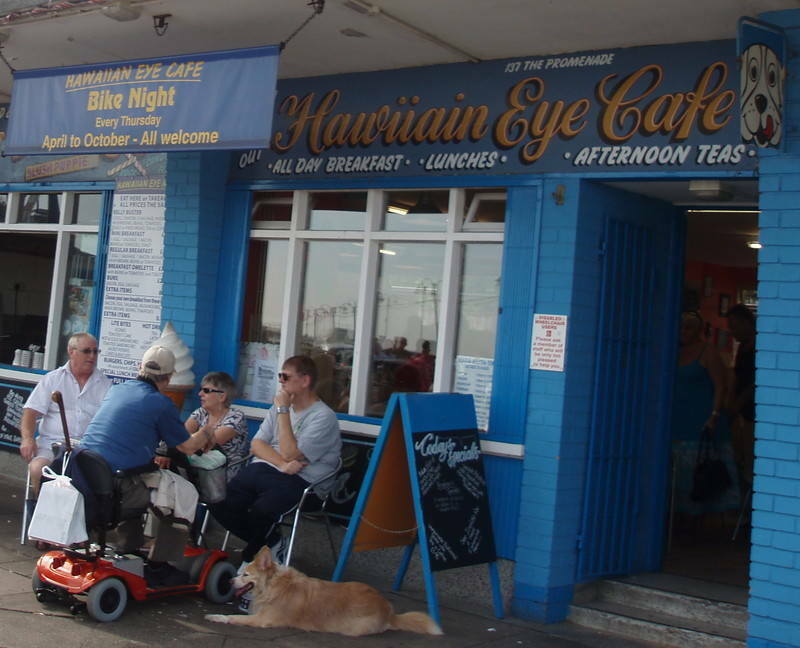 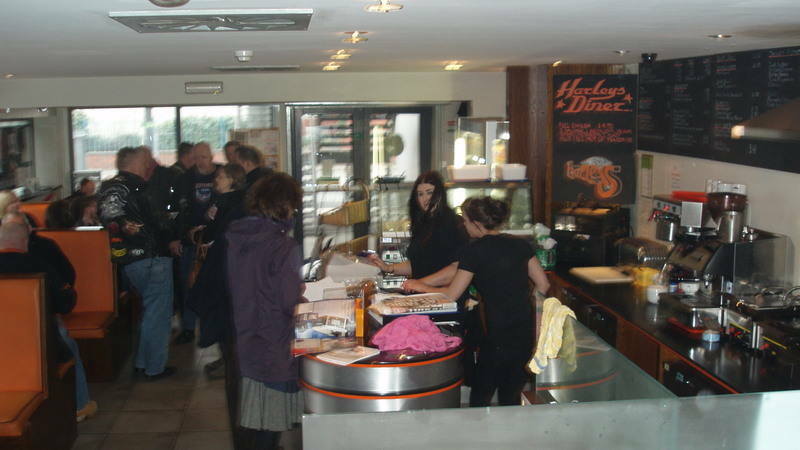 Ace Cafe, North Circular Road, Stonebridge, London, NW10 7UD. 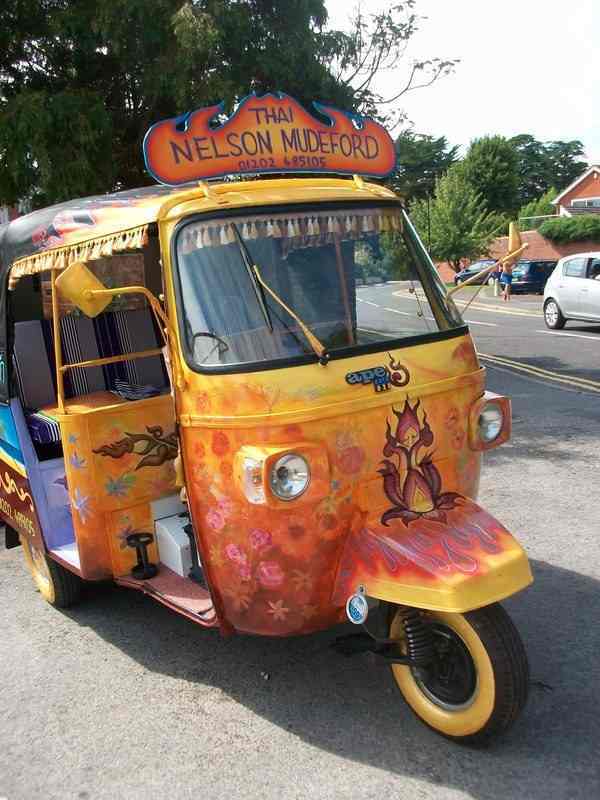 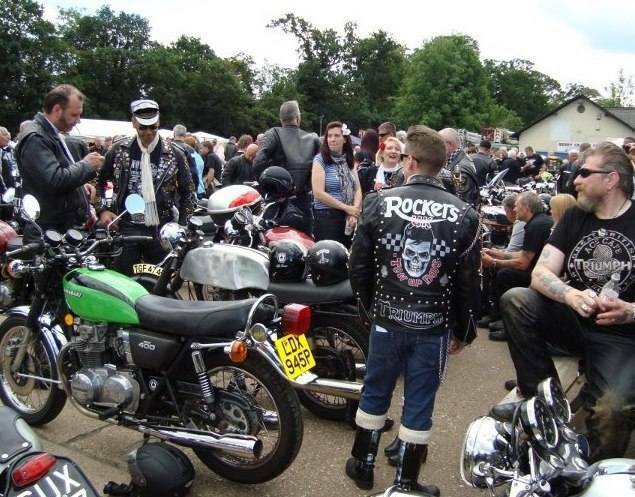 From 6pm: 1st Thursday of the month; Mod n’ Mini (Classic Scooters). 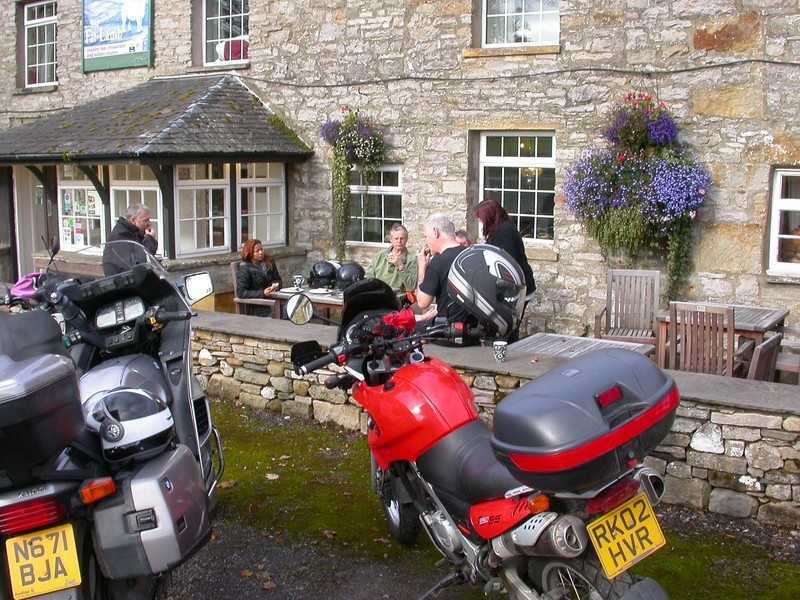 2nd Thursday of the month; Italian Night and MAG. 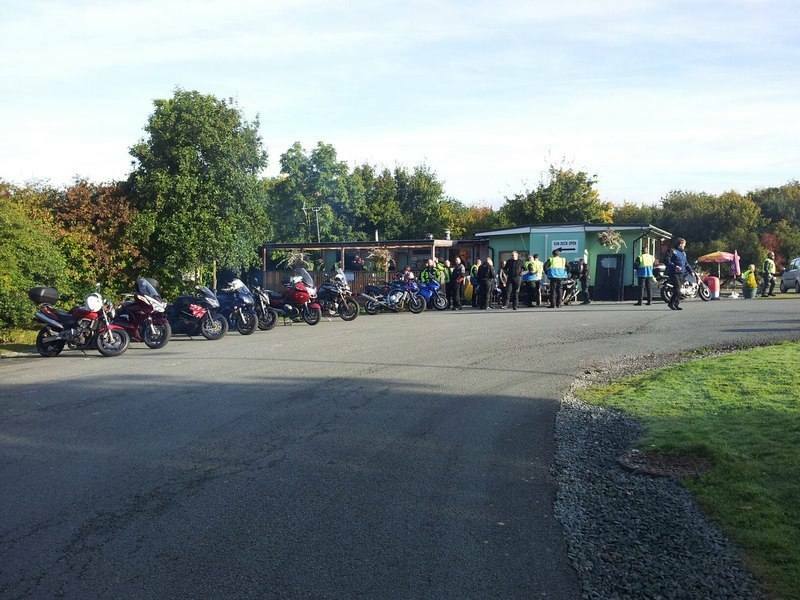 3rd Thursday of the month; Super Moto, XJR OC, NABD and Scooters. 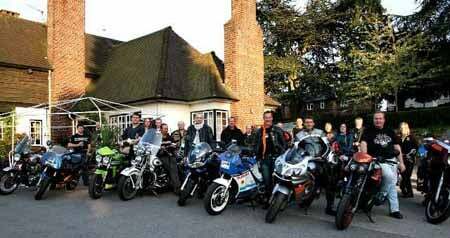 Last Thursday of the month; Harley Night. 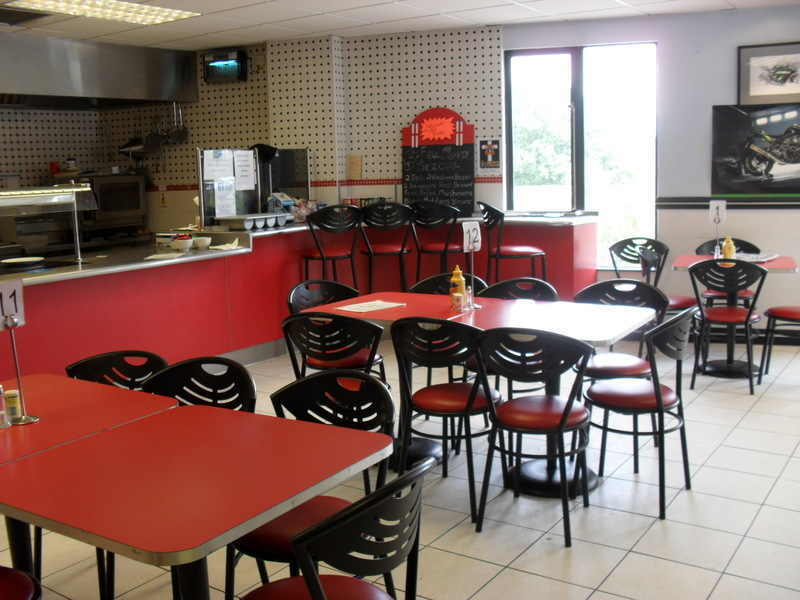 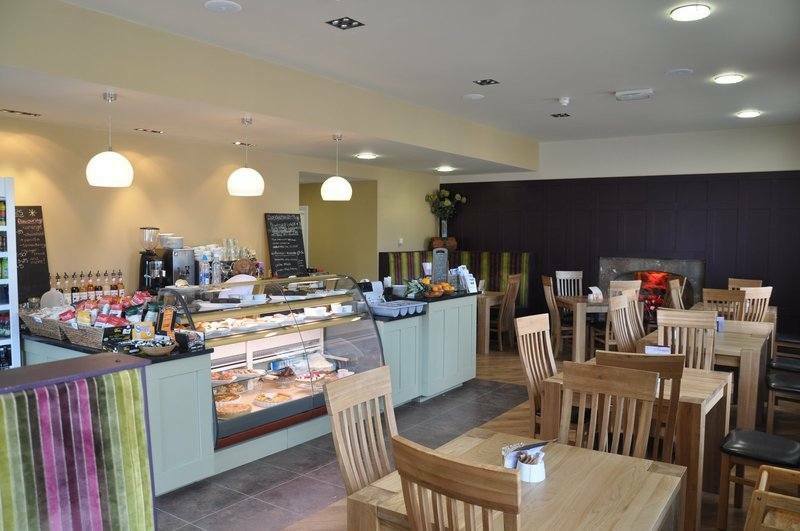 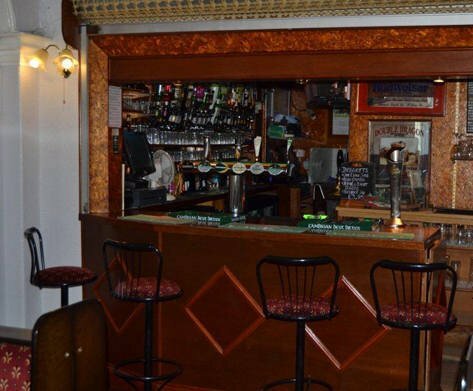 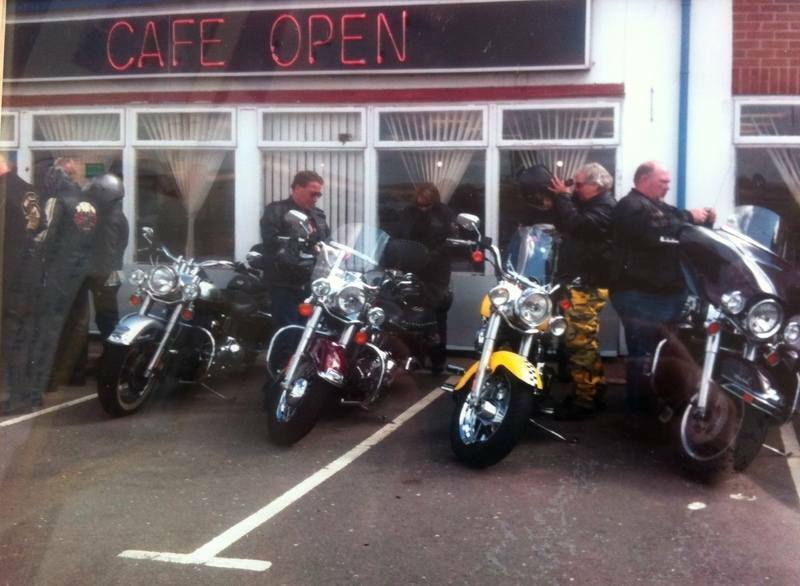 Chapter 1 Diner, Lodge Way, Indian Queens, Newquay, Cornwall, TR9 6TF. 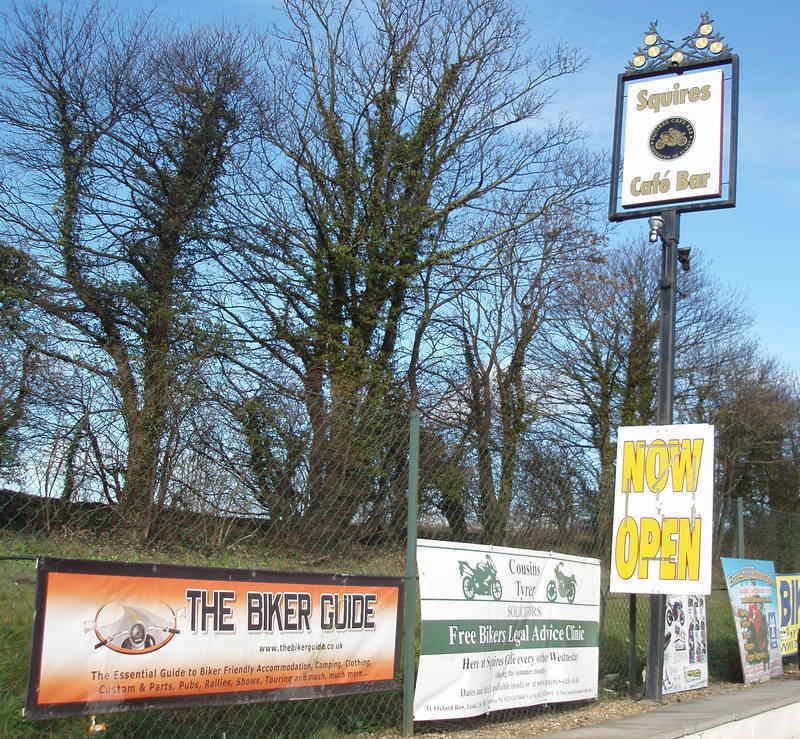 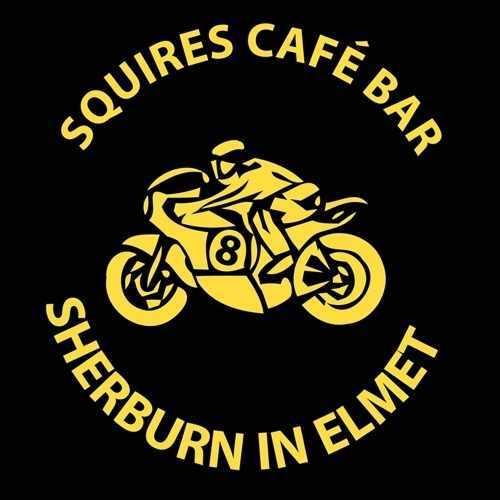 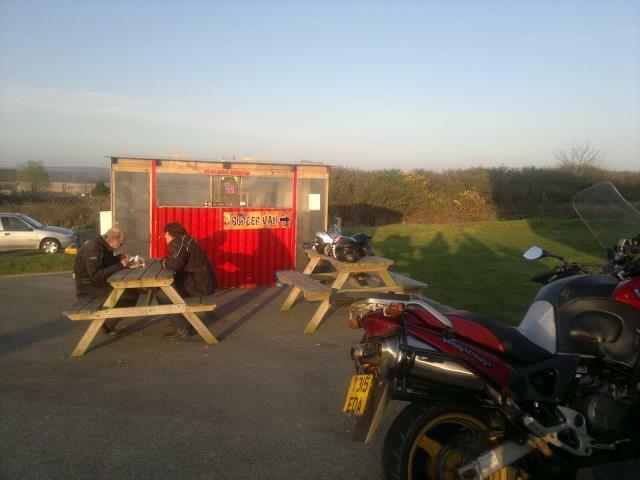 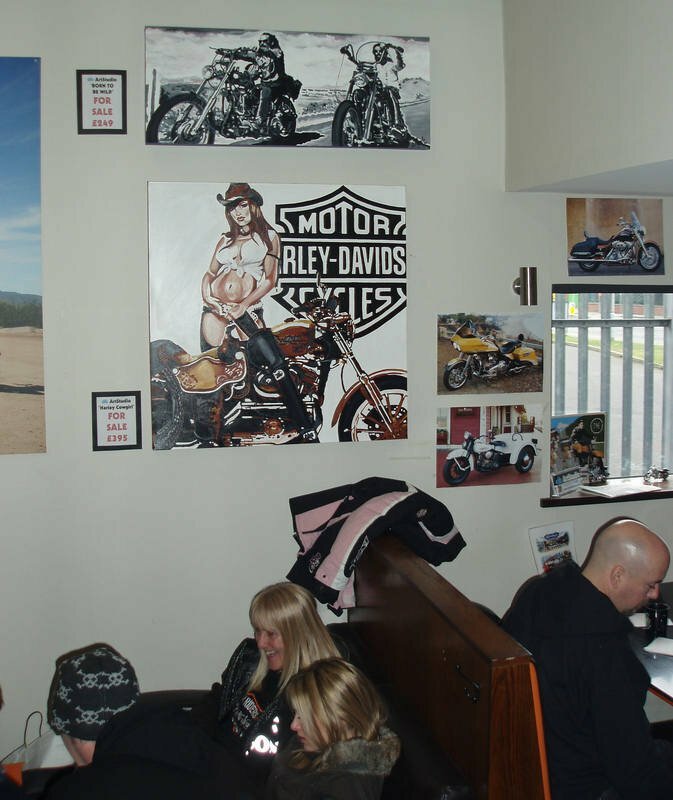 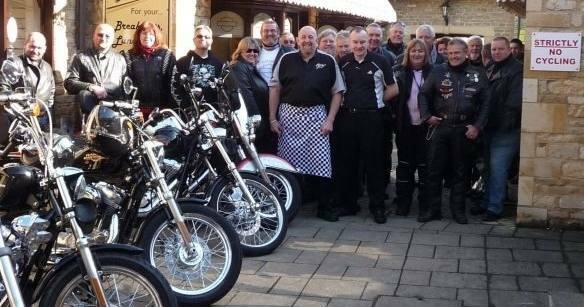 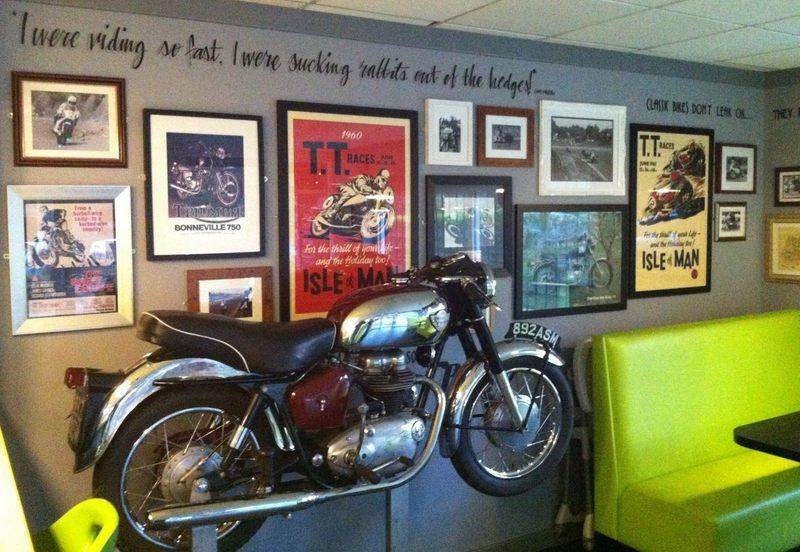 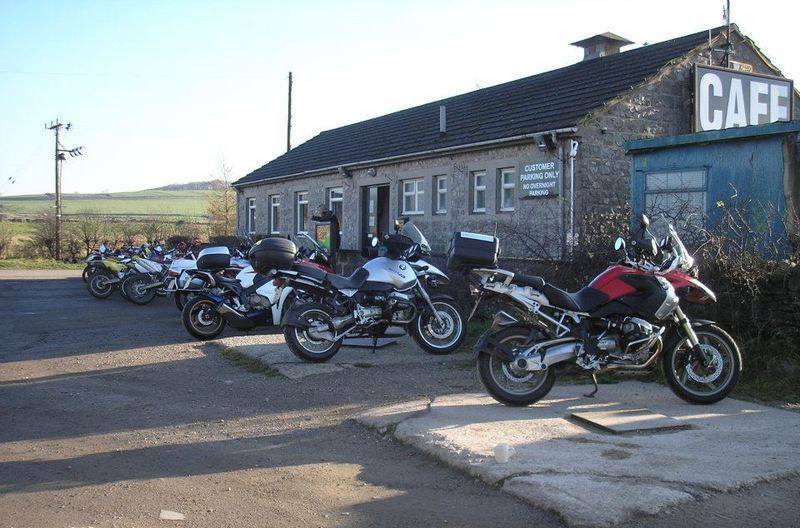 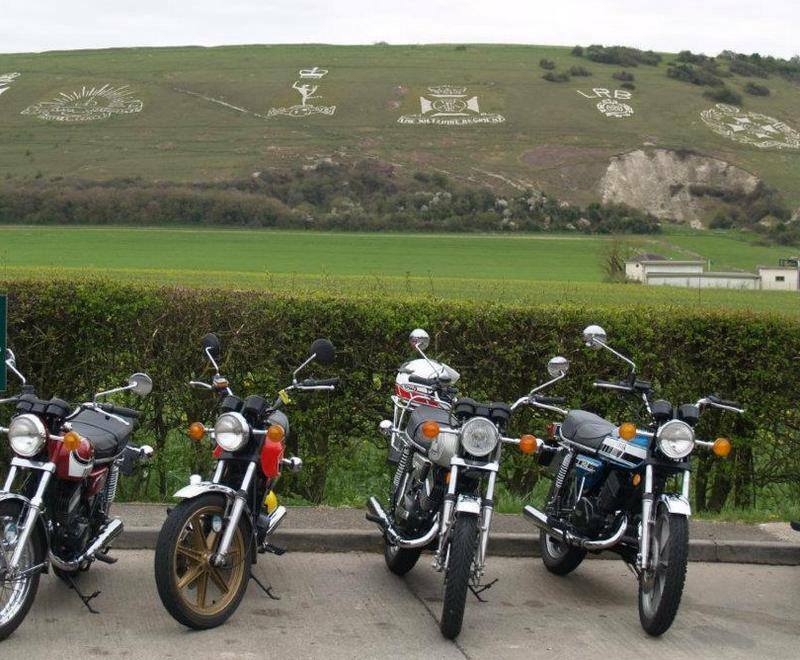 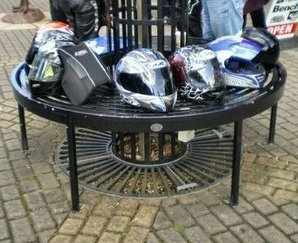 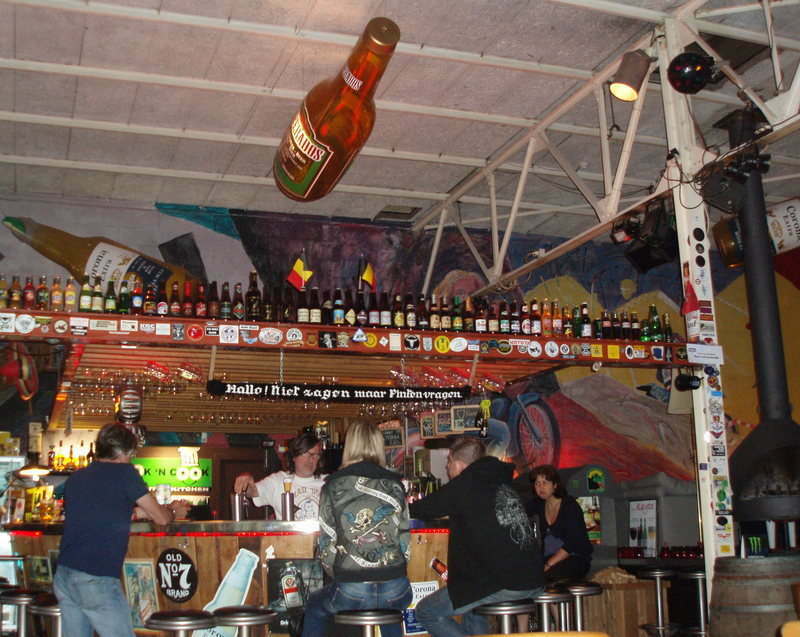 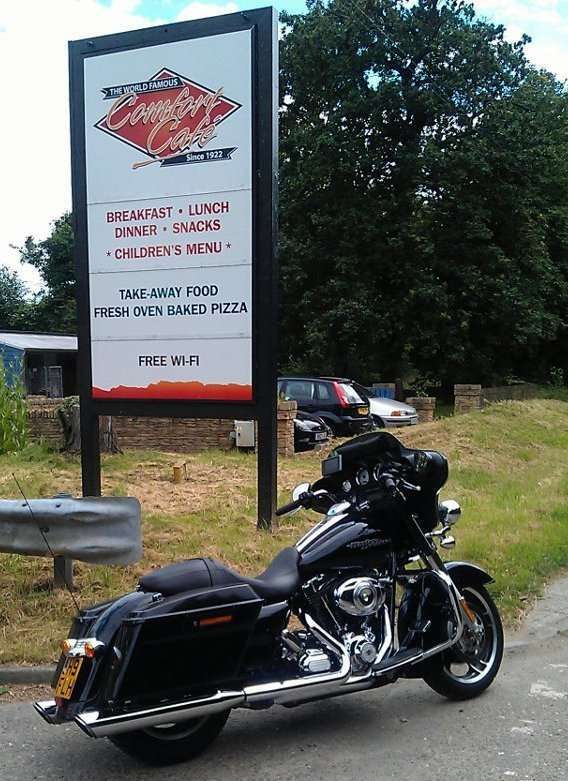 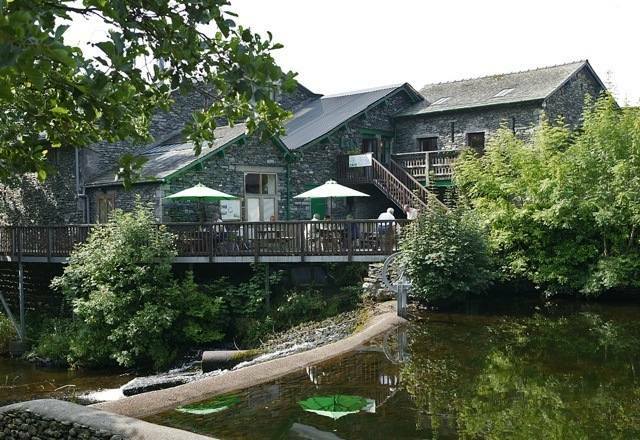 Biker Themed Diner situated besides Cornwall's largest motorcycle dealership - Damerells. 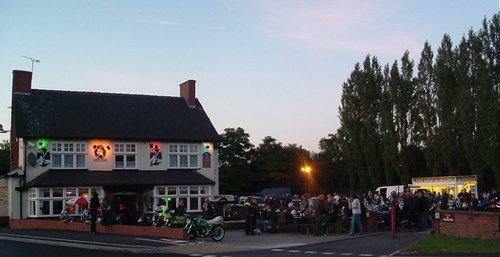 Bike Night, Thursday 6pm - 10pm. 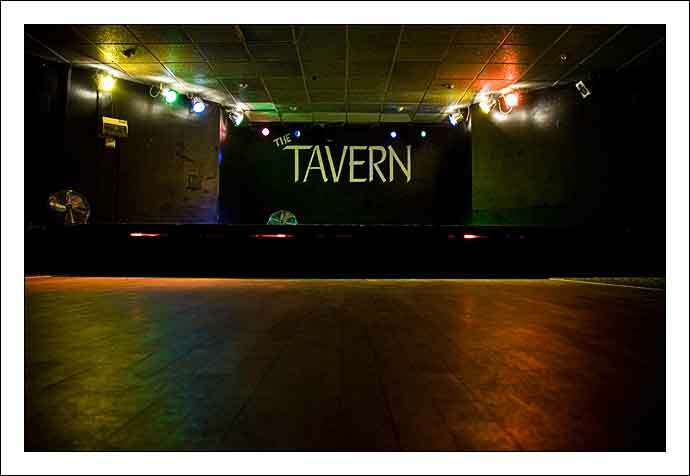 (April - September). 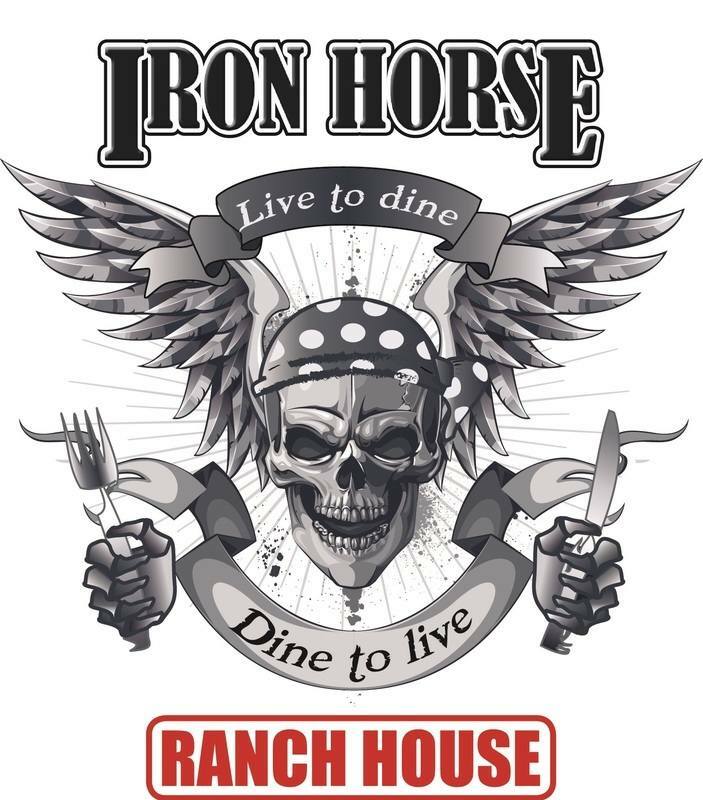 Iron Horse Ranch House, 2 High Street, Market Deeping, Peterborough, Lincolnshire, PE6 8EB. 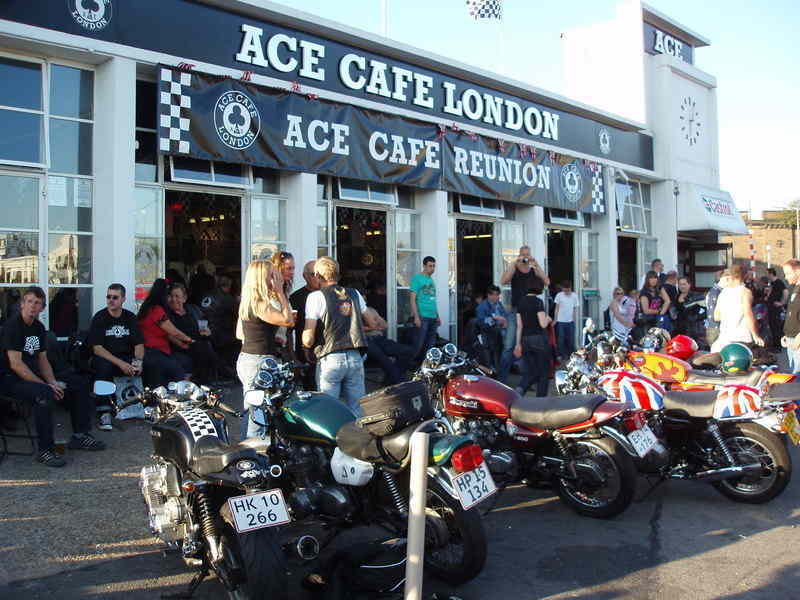 Bike night, April - October, 5pm - 10pm. 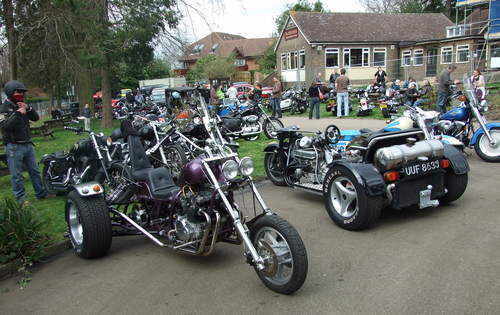 All Bikes and Trikes welcome. 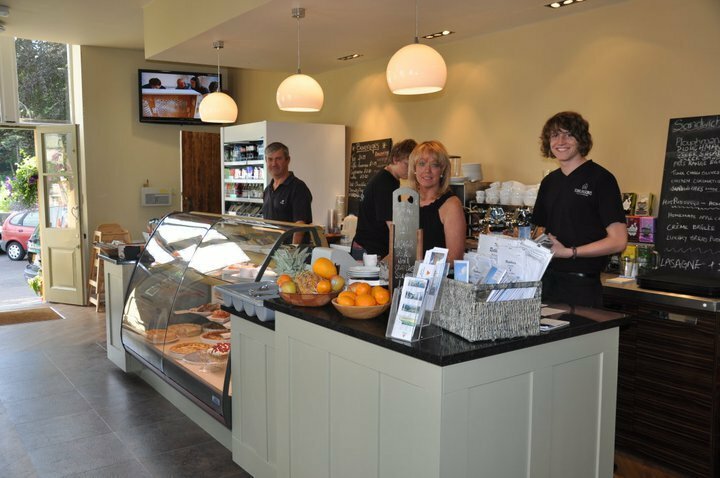 J&S Accessories, Unit 6, Bell Lane, Uckfield, East Sussex, TN22 1QL. 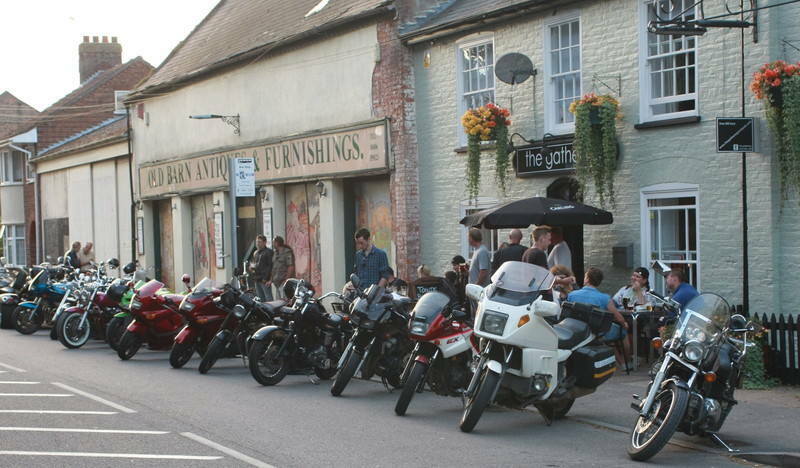 Bike Night Thursday in the summer, with catering van. 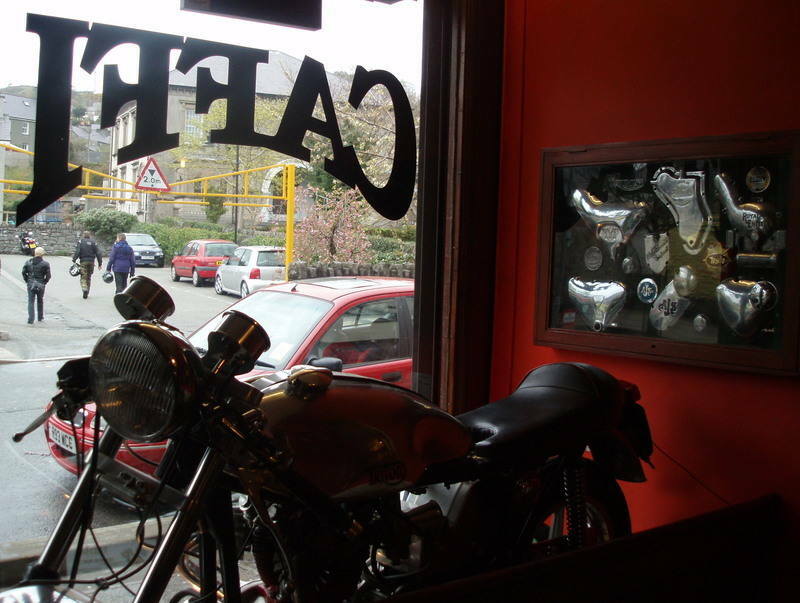 Good size bike parking at the front of the store. 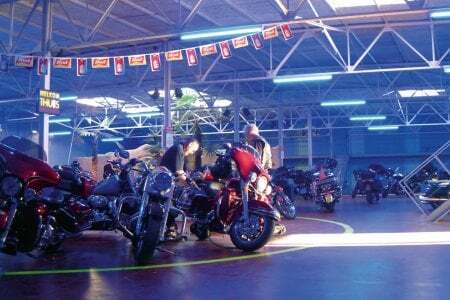 Thunder Thursday @ Edinburgh Harley-Davidson, 6 Cultins Road, Edinburgh, EH11 4DG. 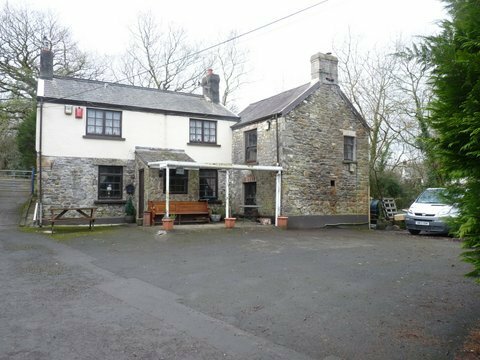 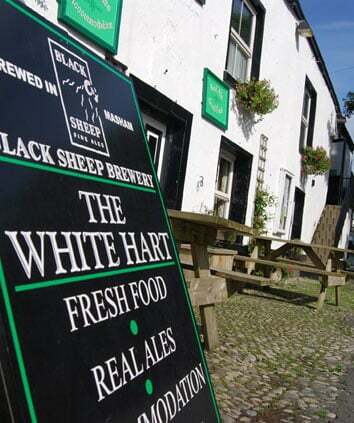 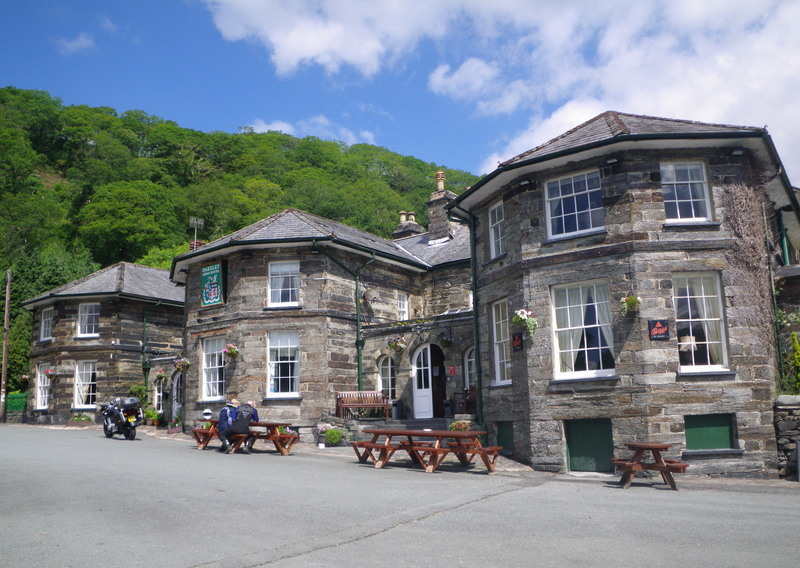 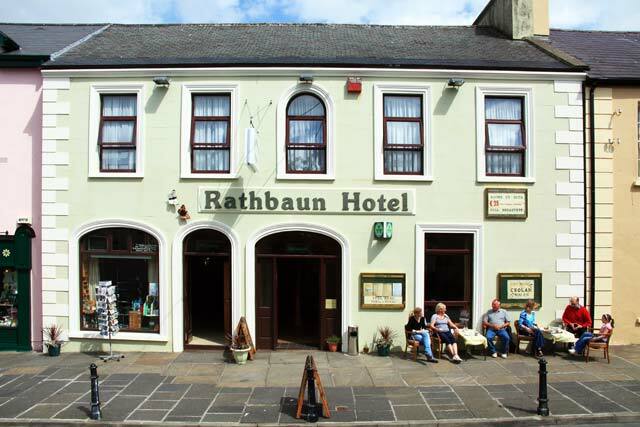 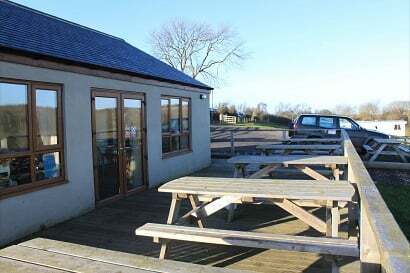 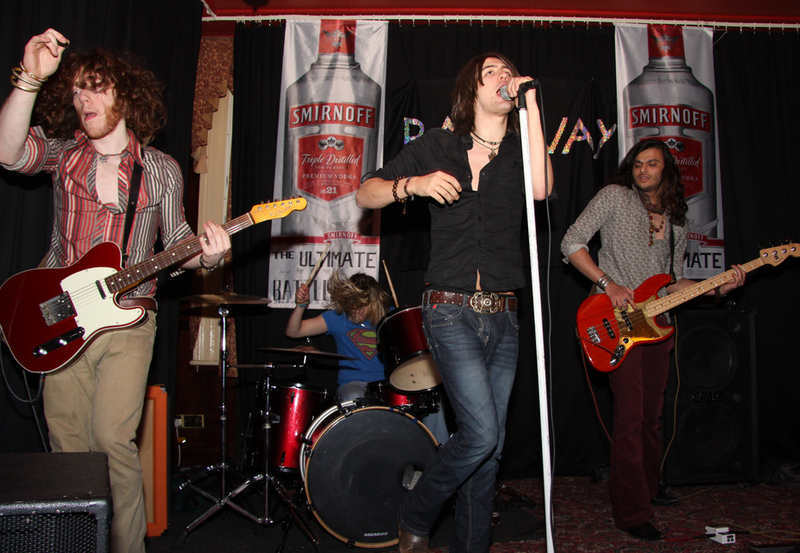 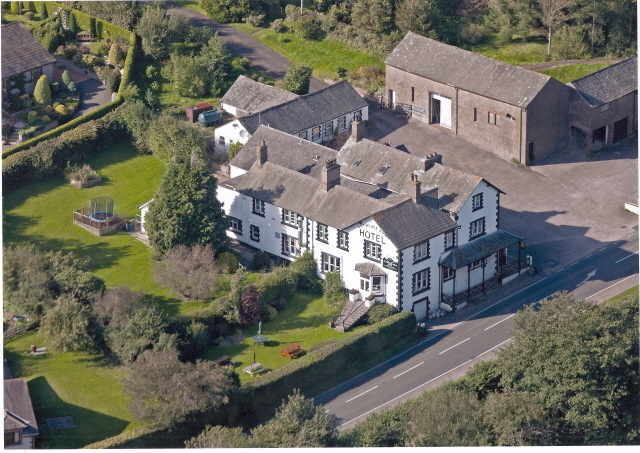 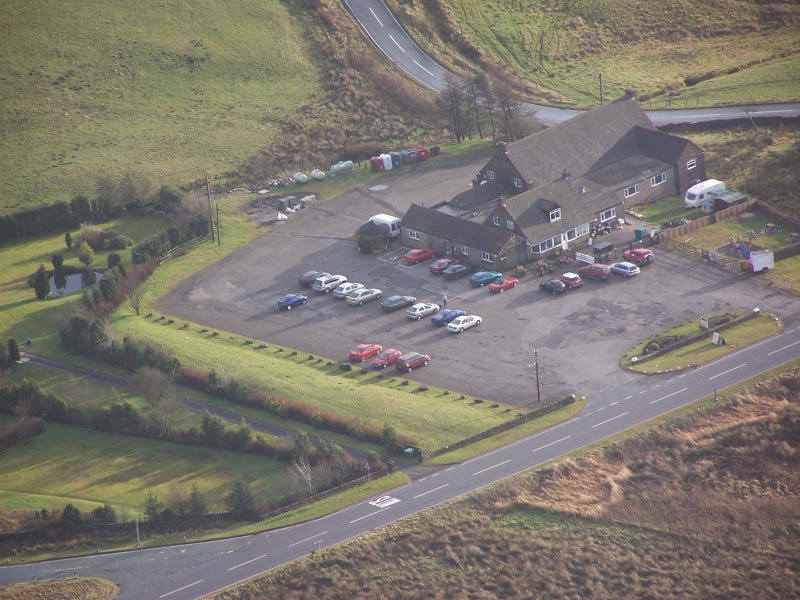 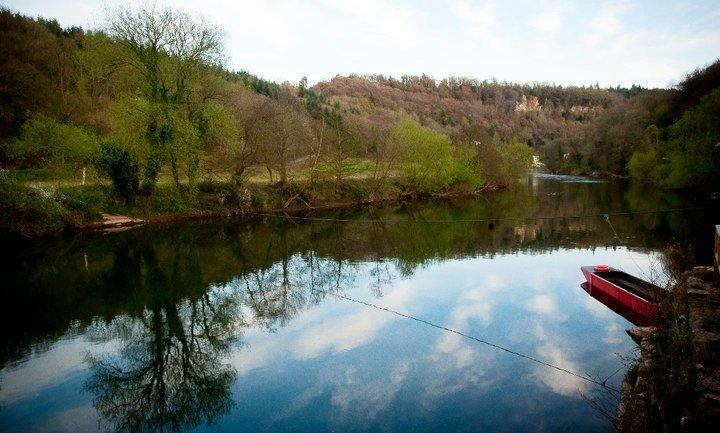 Previously held at The Leadburn Inn. 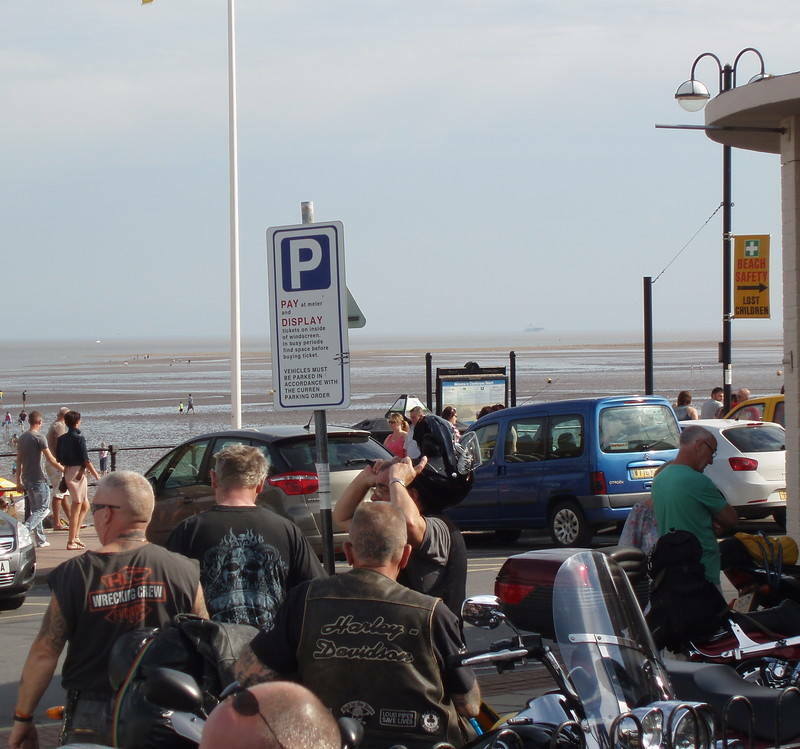 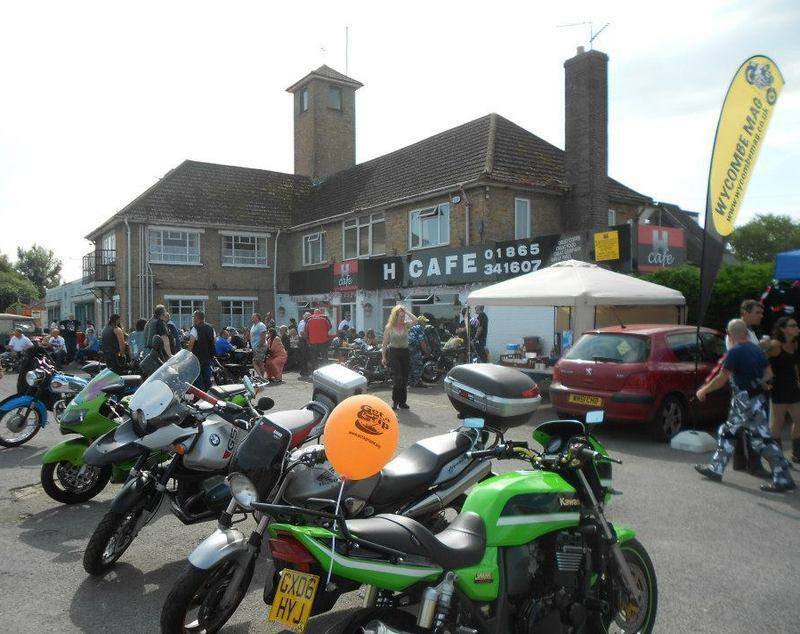 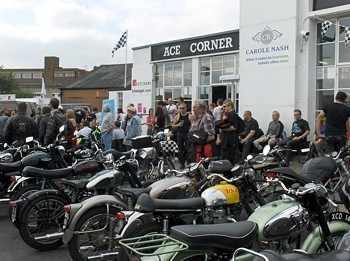 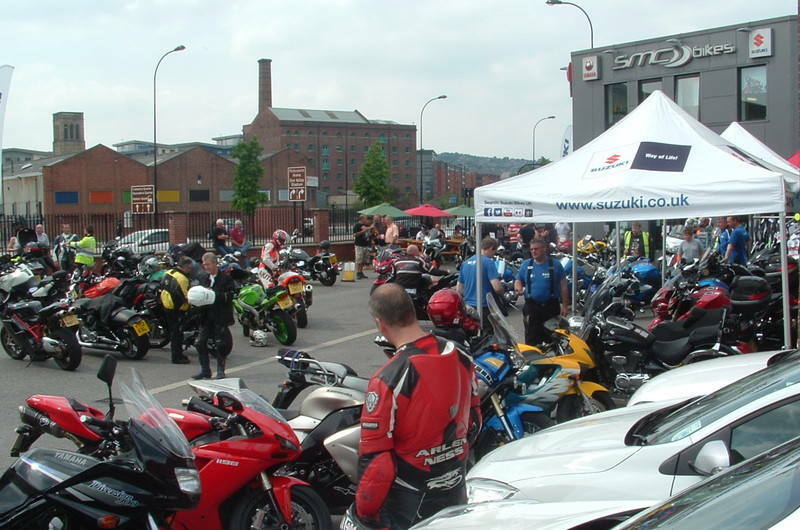 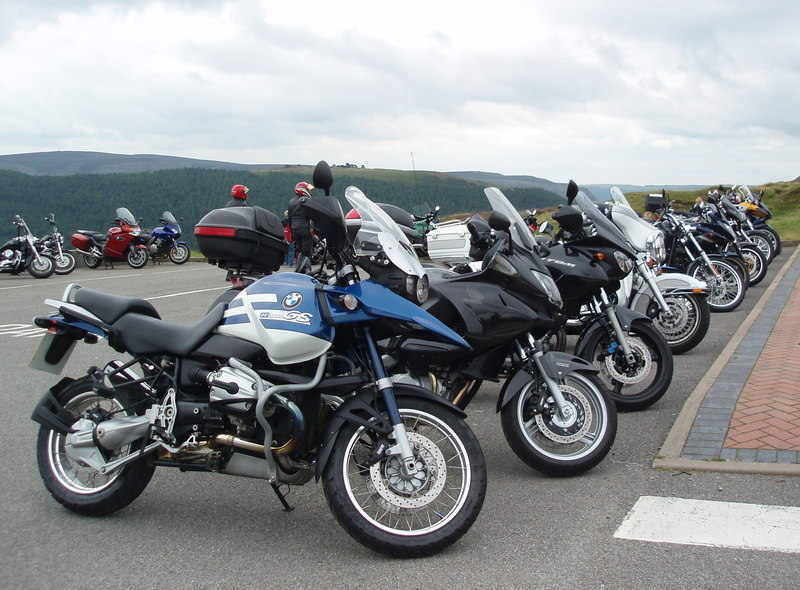 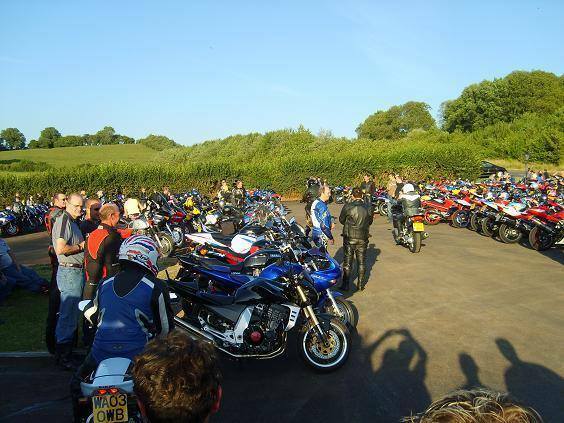 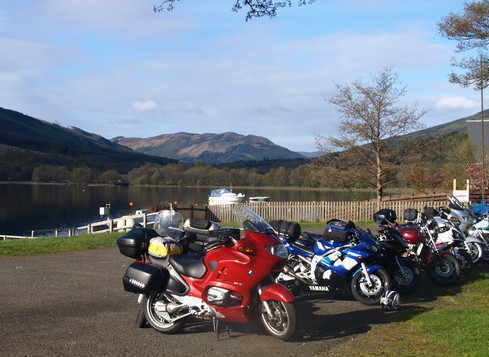 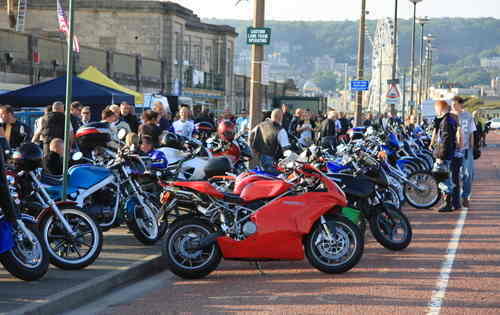 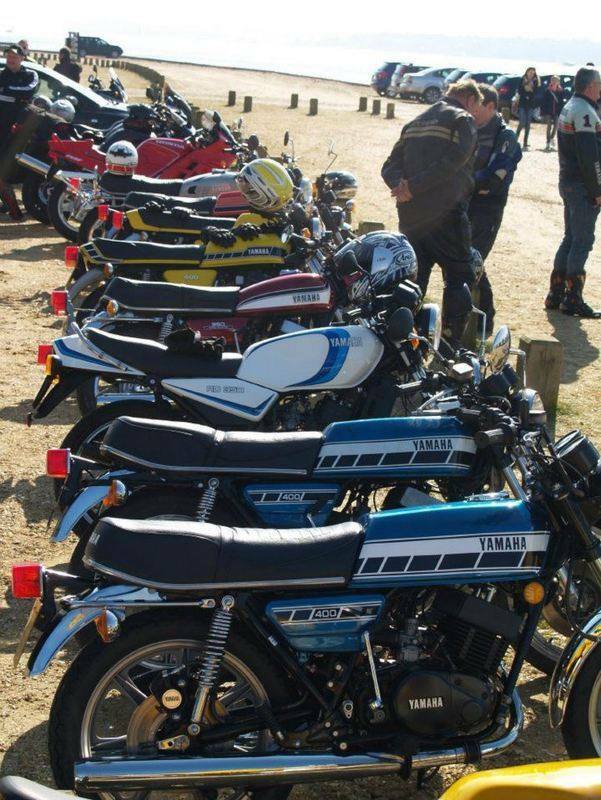 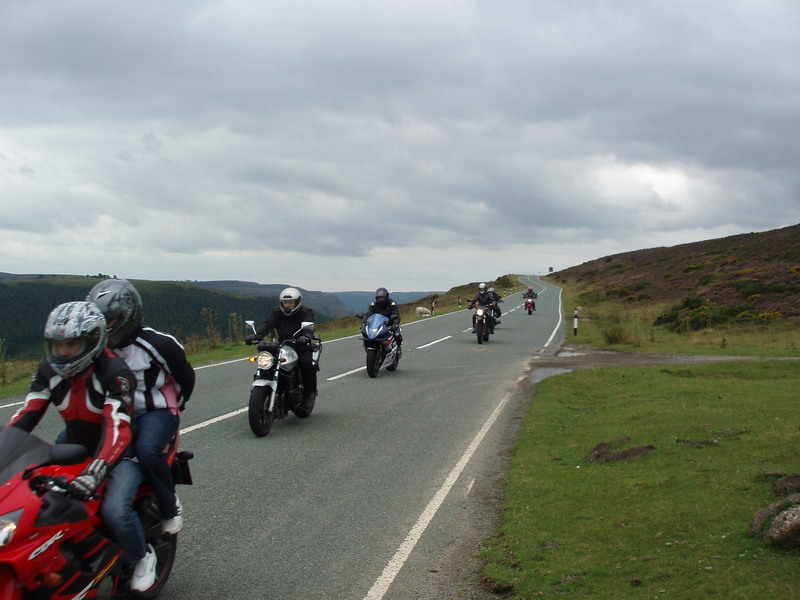 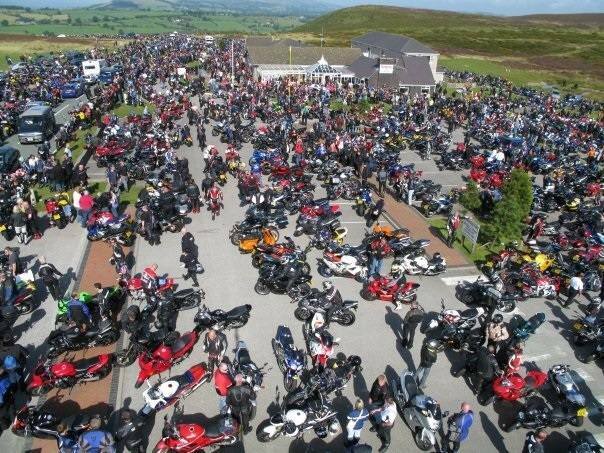 A popular Bike night and a gathering of Motorcycle enthusiasts, petrol heads and other degenerates - no attitudes. 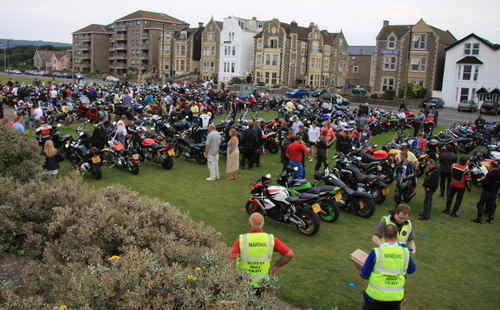 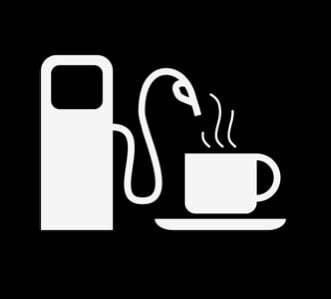 All makes and marques are welcome. 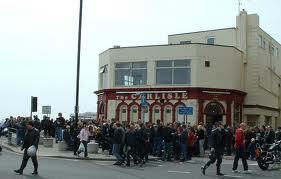 From 5.30 onwards. 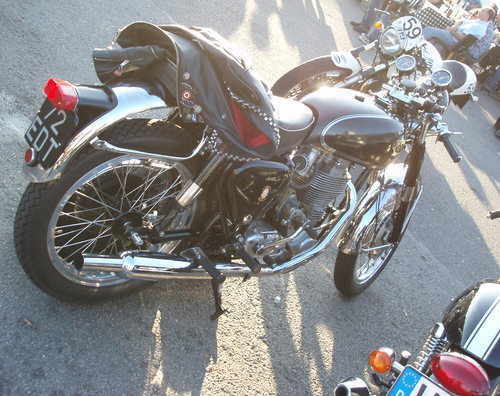 Please check if this is running. 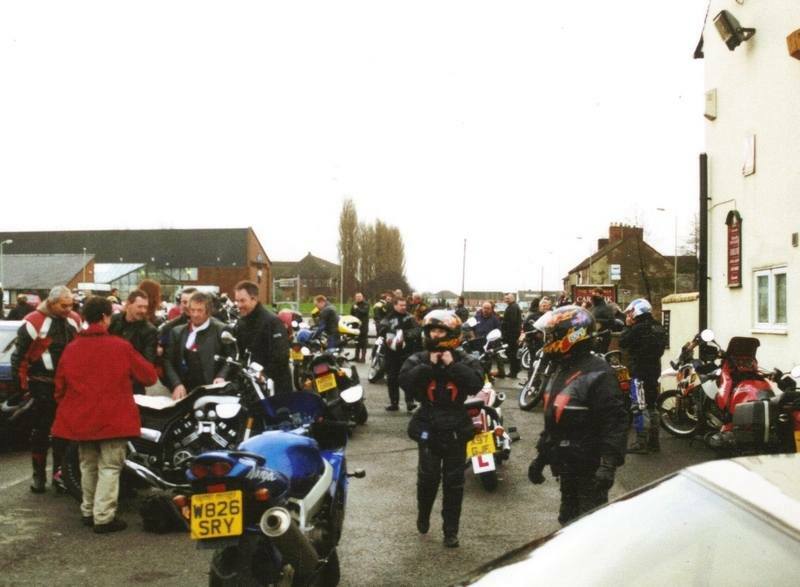 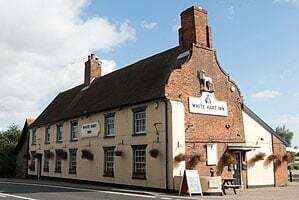 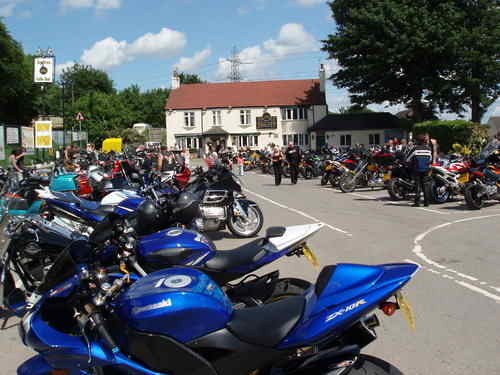 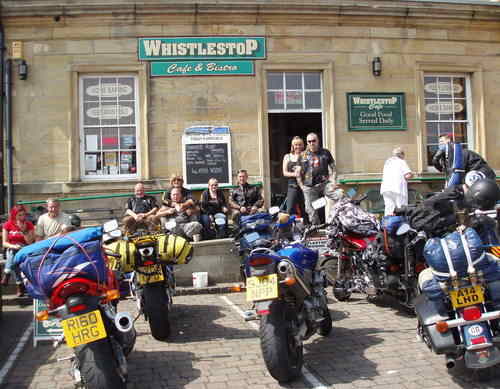 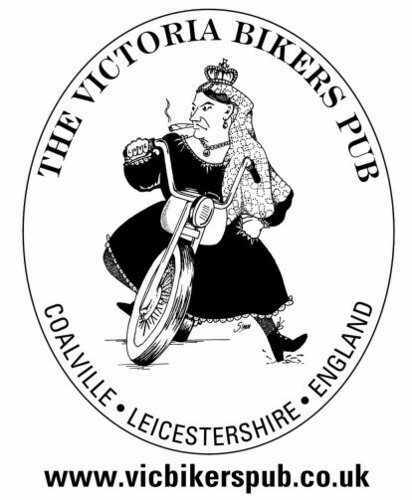 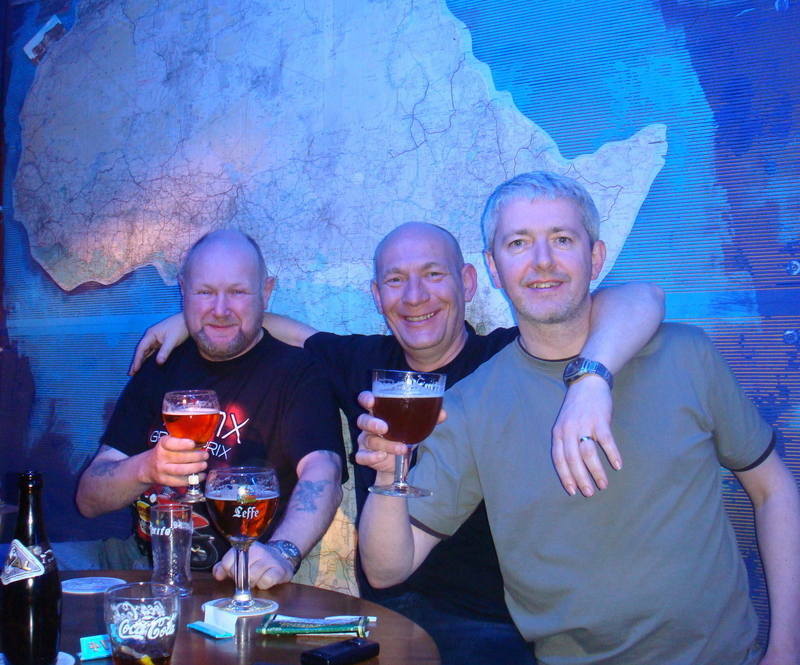 Vic Bikers Pub, Whitwick Road, Coalville, Leicestershire, LE67 3FA. 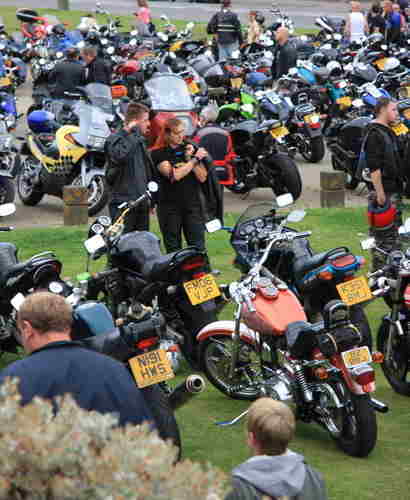 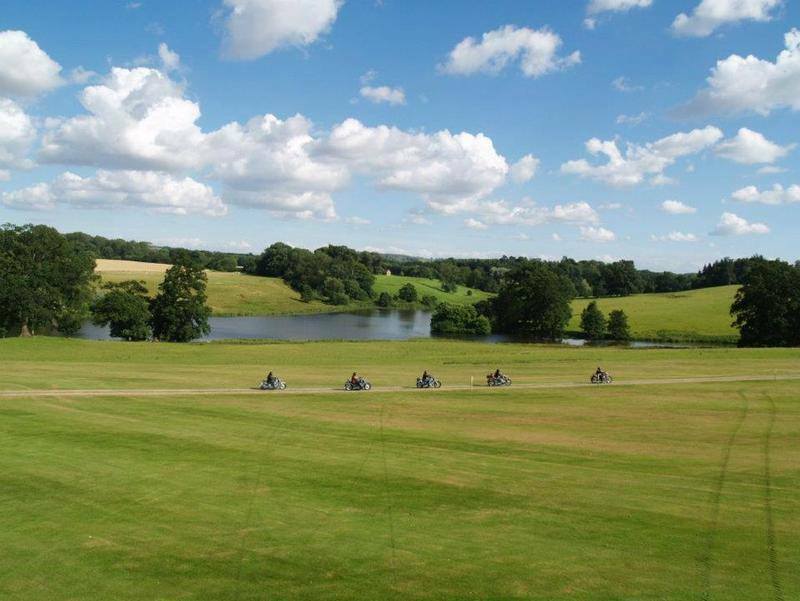 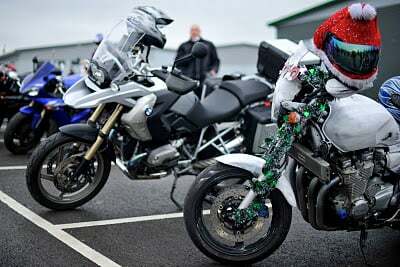 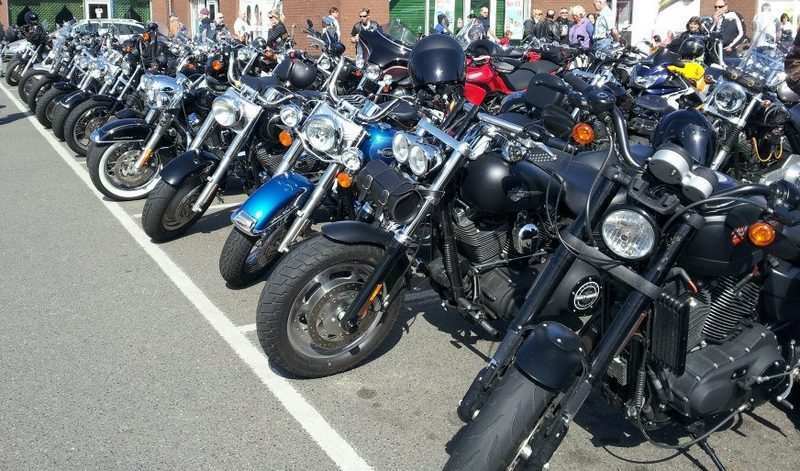 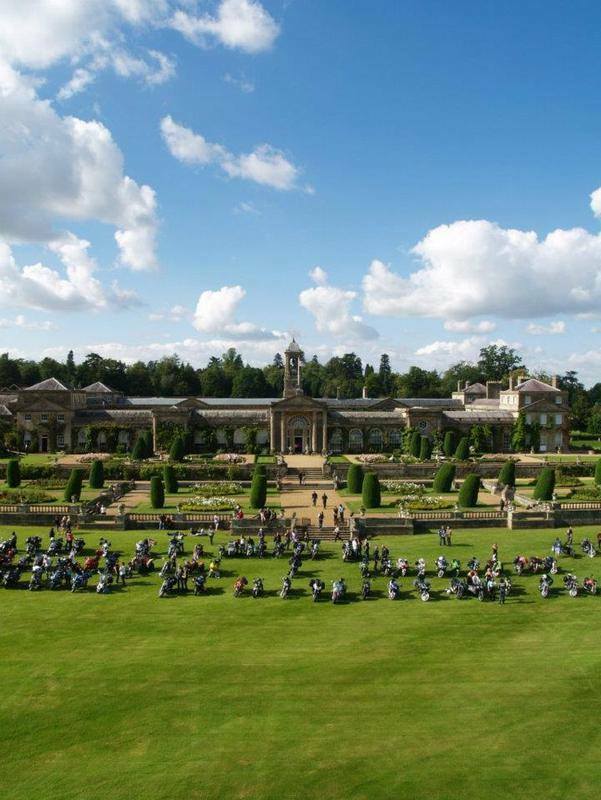 The Big One - an abundance of bikes from Harley-Davidson's to race rockets, classic and vintage and even more home made bikes and trikes. 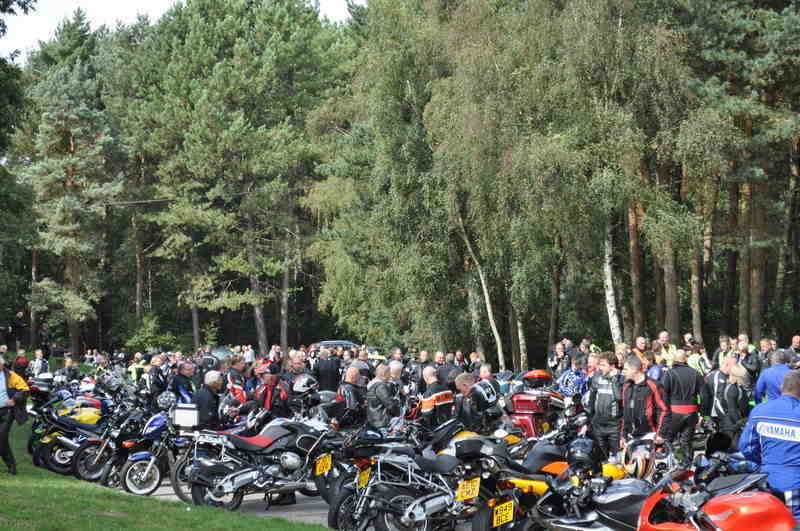 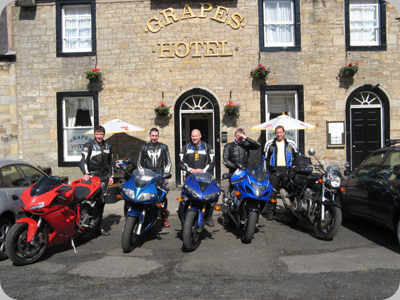 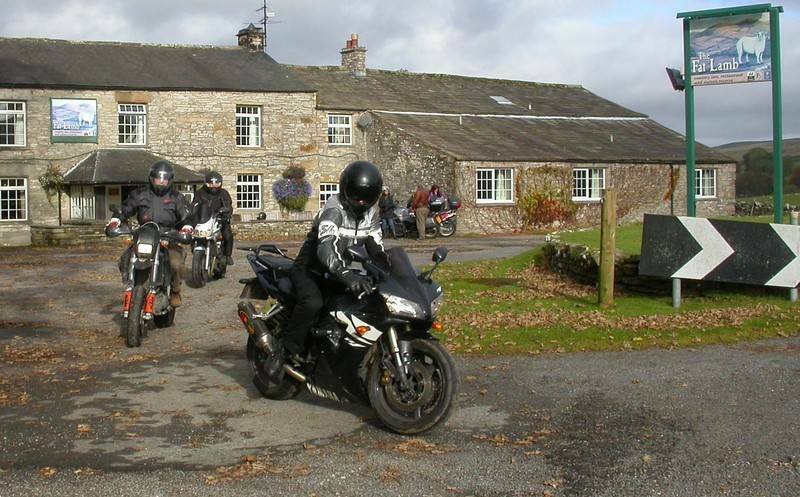 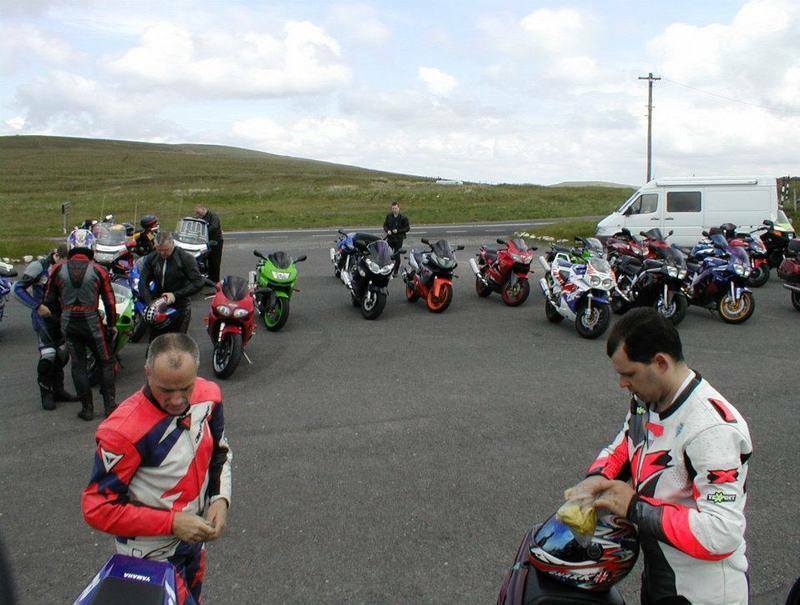 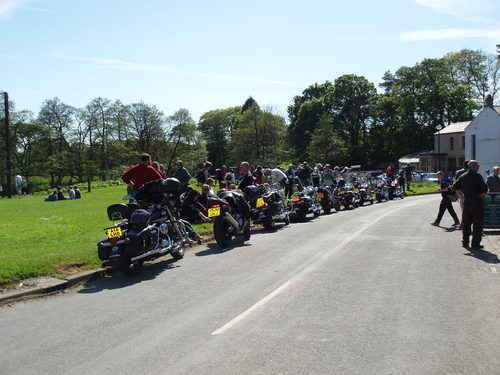 Charity event in support of the Poppy Appeal, organised by the Royal British Legion Riders Branch. 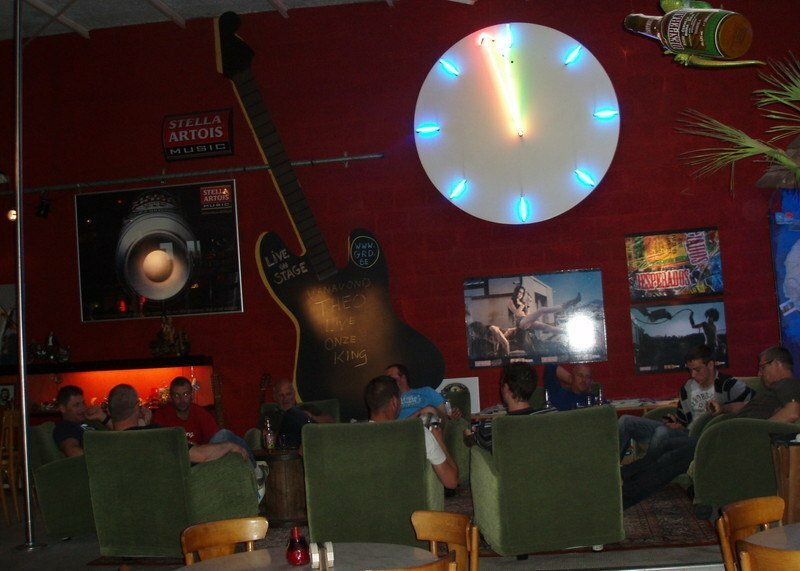 18:00 - 21:00. 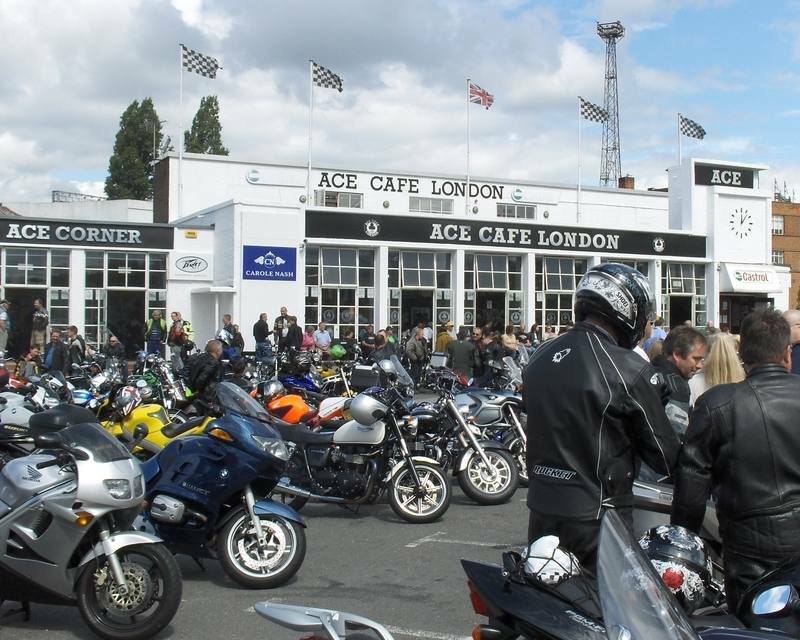 Incorporating Bands, Solo artists, street artists, fancy dress and theme nights with Trophies: Jap Power, Scooter/125, American Power, Custom/street fighter, Trikes, European Power, Classic, Honda Goldwing and to finish Bike of the year. 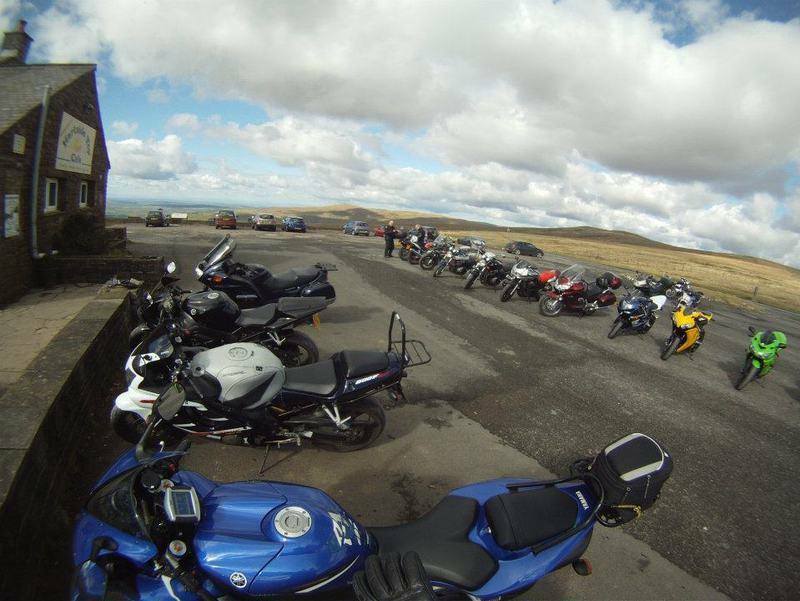 Every Thursday come rain or shine, April - October. 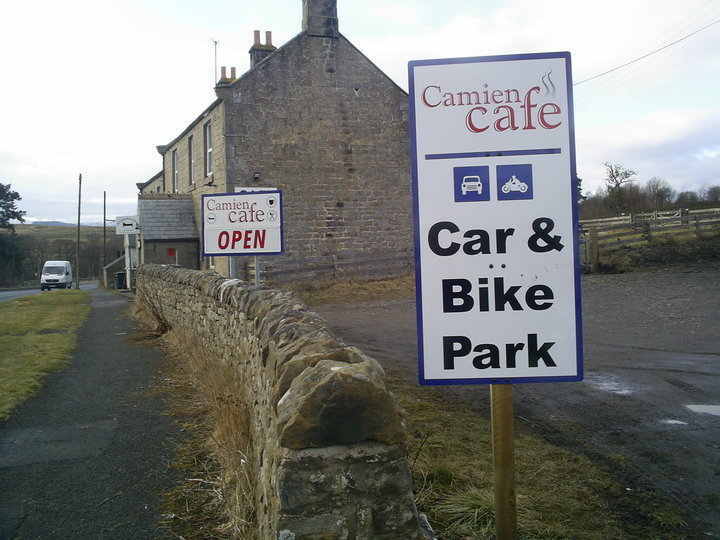 5pm - 10pm.